A couple of years ago Arc System Works revived an old and beloved fighting game franchise by the name of Guilty Gear with Guilty Gear Xrd Sign. In doing so they used it to push some impressive new technologies, blending 2D art with 3D technology to make a game which looked and felt like a 2D fighting game but allowed for beautiful camera transitions and movement like a 3D game. 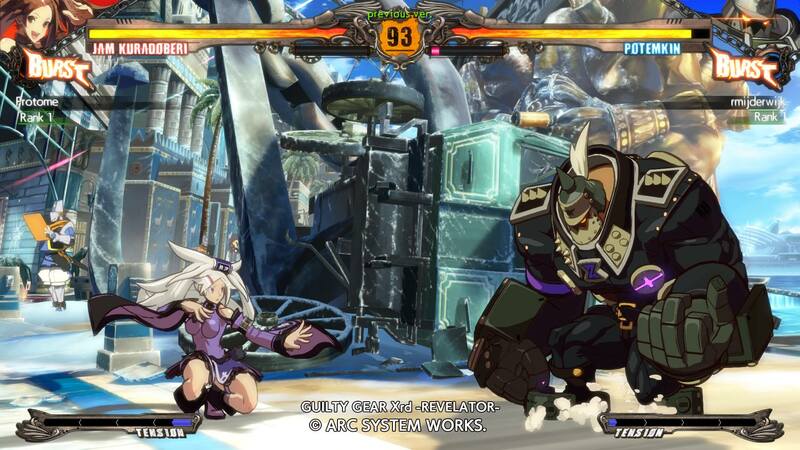 And it was fantastic, Xrd Sign (along with Skullgirls) was the fighting game that got me back into fighting games. I’ll never be great at them (I don’t have the attention span to dedicate a ton of time to one game like that) but I know enough to get myself in trouble and have some fun. 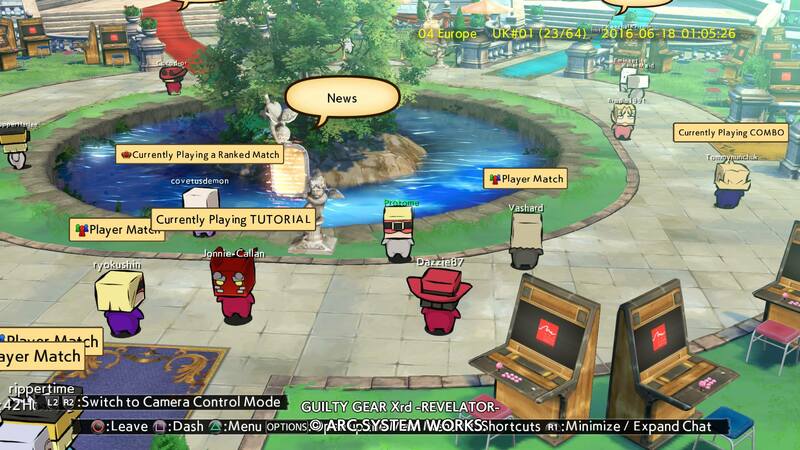 Now, with Guilty Gear Xrd Revelator, Arc is looking to keep the gears turning. 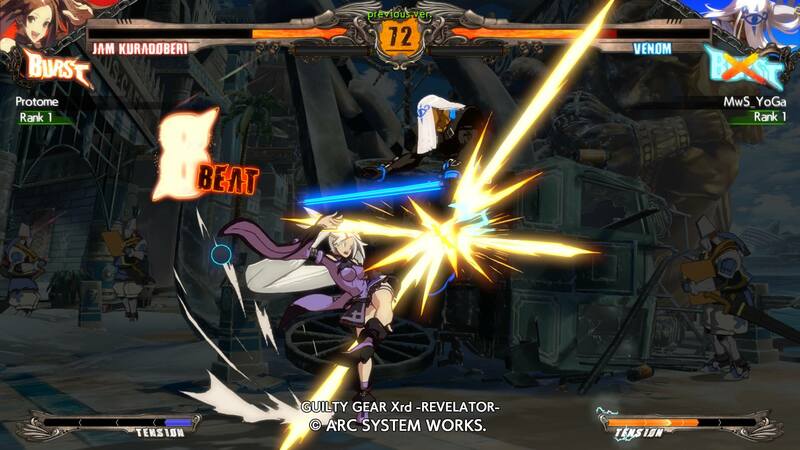 Revelator is an update to Xrd Sign, not a full sequel. Comparable to the iterative releases Arc has done in the Blazblue franchise Revelator adds four new characters, some new stages and an overhaul to most of the system menus and features. As you would expect, the DLC characters from the original game are all included in Revelator alongside five newcomers. I say newcomers, almost all the new characters are returning from older Guilty Gear games but they’re welcome additions nonetheless and seeing them rendered with Xrd Sign’s magnificent art style is great. An art style which has received a bit of an update, mostly in the lighting department but nonetheless it looks even more beautiful than before. The core gameplay is mostly the same, although some mechanics have been changed around a bit, but not making major changes is not a detriment. 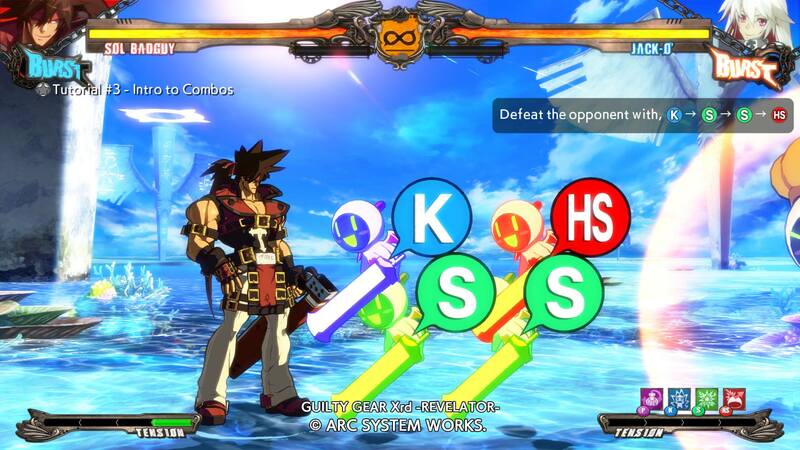 Guilty Gear Xrd Revelator plays fantastically and even introduces a new “Stylish” mode which means if you want to just mash buttons and make cool things happen, you can totally do that. I ended up spending most of my time using Jam Kuradoberi, a character who originally appeared in Guilty Gear X and whose fighting style is all about getting up close and personal and being really aggressive, which has been working out alright for me so far. One welcome overhaul from the original game is the additions to the Tutorial. Xrd Sign already had a pretty in depth tutorial that was among the best fighting game tutorials out there (in my opinion it was only second to Skullgirls). Revelator expands on those foundations and adds some more tutorials with a bit of personality to get new players familiar with the basic mechanics of fighting games in general. They achieve this with small training missions which are set up almost like a side scrolling beat-em-up, where the player is required to take out dummy enemies using specific attacks to naturally introduce how to combo things together. It’s a really smart system which works well, although it is only used to introduce the basics and then it’s right back to a more traditional fighting game tutorial. Online lobbies have been given a nice upgrade too. Now players have a customisable little avatar character who wanders around isometric lobbies and can do a variety of things. The most common being matchmaking for ranked and casual play (which I struggled to find anyone on) and the more fun way of handling matchmaking by sitting down at an arcade cabinet in the lobby and waiting for another player to come and join you and play against you. Afterwards you can send chat messages and emotes to each other and it’s all pretty cute. I struggled to find many people online in general. Lobbies are divided up by region but most of them are completely empty while some of them only have one or two people in. For some reason the France #1 seemed super busy a lot of the time though, with 60+ players running around in the little isometric lobby, each kitted out in different costumes and chatting away. It’s a brilliant system, if only the userbase was there to support it. Guilty Gear Xrd Revelator is a weird release. It improves on Xrd Sign across the board and adds a handful of new characters but it still feels like a relatively small update, definitely not a new game (as Arc is pricing it…) Yet I can’t help but recommend Revelator. Xrd Sign was one of the most fun fighting games I’d ever played and Revelator is better than it. It’s one of the few fighting games to make me try to actually learn how to play fighting games “properly” so it has that going for it.